Stockholm, Sweden, May 8, 2018 – Propellerhead Software today released Reason 10.1, the newest update to the award-winning Reason music production software. Reason 10.1 is a free update for Reason 10 owners that features sample loading in Reason’s flagship Europa synth which provides a powerful new way for creating stunning sounds while maintaining its easy-to-use interface. Reason 10.1 also supports Rack Extension SDK 3, allowing developers to create new and better Rack Extensions, including Player devices. For a limited-time, Reason 10 owners can also get the new Drum Sequencer for free, a Player built on the new Rack Extension platform, that makes beat creation intuitive, blazing fast and fun. Reason 10.1 brings powerful new functionality to Europa, Reason’s flagship synthesizer. Now you can load any sample and use as your waveform in Europa’s engines. Or load a sample in the Spectral Filter section and use the sample as the filter’s spectral multiplier. 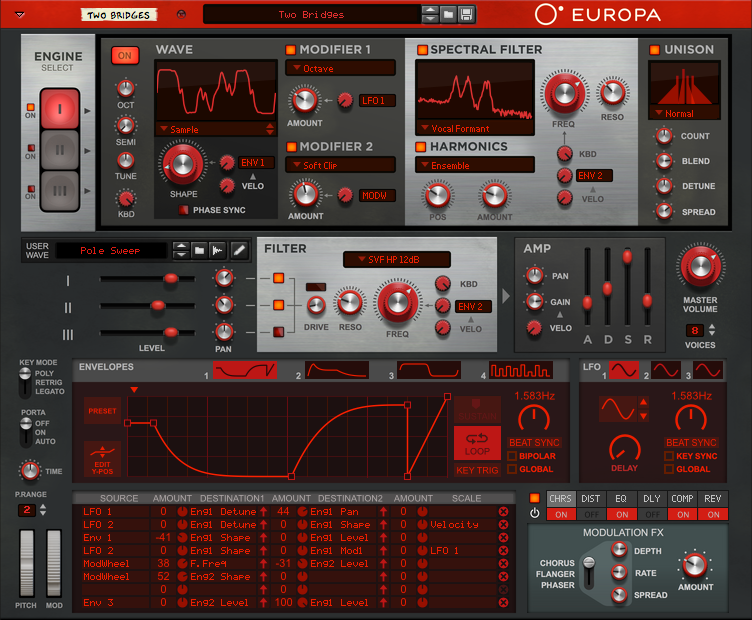 This new functionality offers endless sound possibilities, and brings Europa to the forefront of creative synthesis. Released in October 2017 with Reason 10, Europa is the infinitely powerful spectral wavetable synthesizer plugin with an intuitive, easy-to-use interface. With three independent synthesis engines, advanced spectral filtering, endless modulation options and over 500 presets from leading sound designers, Europa will cut through your mixes with its crisp, clear and truly powerful sound. Reason 10.1 also supports further development for the Rack Extension plug-in platform. Rack Extension developers can now create new Player devices to join the popular Scales & Chords, Note Echo and Dual Arpeggio Players. The Propellerhead Shop features several brand new Players from third-party developers and Propellerhead, including the new Drum Sequencer. 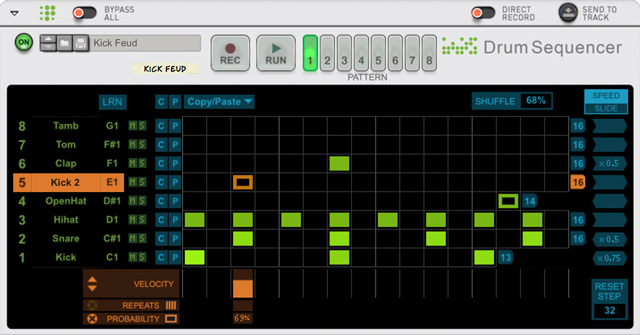 Add this Player to any instrument in the Reason rack and you’ll have quick and easy pattern-style drum programming for your favorite devices. Creative features such as step repeats, probability settings per step, time resolution per track and more makes the new 8-track Drum Sequencer a joy to work with. 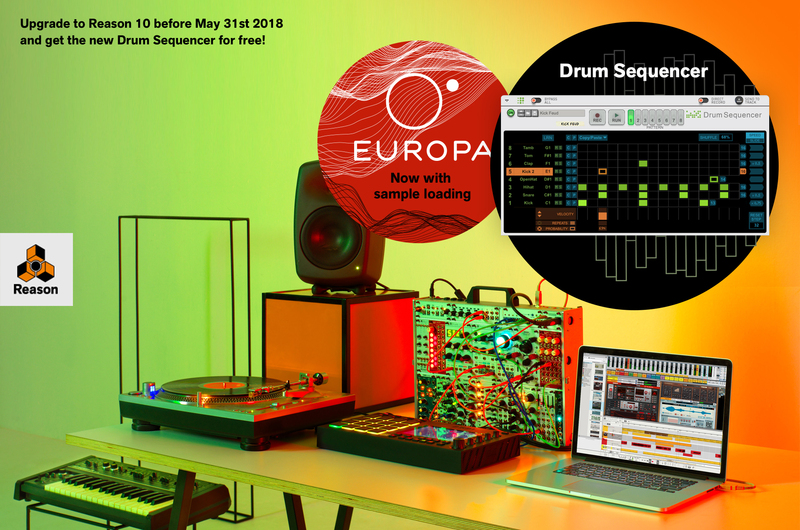 Drum Sequencer is free for Reason 10 owners until May 31, 2018. Reason 10 is a free update for all Reason 10 owners and is currently available for free through Reason’s auto update. Drum Sequencer Player is available for free for Reason 10 owners for a limited-time and can be downloaded from Propellerhead’s shop. Offer ends May 31, 2018.